Ted opened the meeting at 19:10. Ted has been in communication with Ross Francis, the Scouts Canada staff member assigned as the liaison to the committee. Scouts Canada holds the copyright to the Eaton's film and has granted permission for it to be used. There is as yet no news regarding official approval for the use of the WJ'55 emblem. Ted has emailed Tyler Arrell, Scouts Canada's International Commissioner, about this. The Leader magazine has invited the committee to submit an article for the February and June issues. The deadline for the February issue is Monday. Tony will write an article. The Leader is willing to run monthly ads for the event, but would treat them as other event advertising and expect to be paid. Bill will send the Tony's backgrounder to Lou for review before it is sent to The Leader. Both Scouts Canada and the Scouts Canada Foundation have officially recognized the event. Ted has ordered 300 badges. They should be ready in about two weeks. Lou Cahill of OEB International shared his extensive knowledge of public relations. Lou suggests writing a 250-300 word article about the event and sending it to local daily and weekly newspapers. Local organizations such as Parks Canada, Niagara Parks Commission, the Chamber of Commerce, and local Scouting should be informed about what is happening. Sending information to the national media will start to build interest. It is important to find the right person to send the information to. A newspaper might be interested in making a Saturday feature using photos from the event. Lou suggested that we find out about parents who are attending the Scout Brigade of Fort George. They may be interested in the event. George suggested contacting the both the provincial and federal heritage ministers. Other contacts include the Honourable Jim Bradley, MPP for St. Catharines and Minister of Tourism and Recreation; Walt Lestewka, MP for St. Catharines; and John Maloney, MP for Erie-Lincoln. Bill noted that the 50th Anniversary is a unusual opportunity for Scouts Canada to market itself. The event can be used to generate general interest in Scouting. It can help to get across the message that Scouting is far more than just fun. The skills and values ones learns in Scouting last a lifetime. The challenge is to get people to see the event as more than just a reunion for attendees, but truly a celebration of Scouting for everyone. Ted will follow up with Tyler Arrell and Ross Francis regarding getting the work out internationally. The Boy Scouts of America had the largest contingent next to Canada's. Their National Eagle Scout Association may be able to assist in locating WJ'55 attendees. Brochures about the event could be distributed through Kandersteg International Scout Centre, which hosts 10,000 Scouts from around the world each year. Bill L., Ted, and Liam have met with Clive Buist and Marty Yamich of the Town of Niagara-on-the-Lake. Arranging a viewing area for the SBFG parade is no problem. When, where, and the size needed should be communicated to Holly Dowd, town clerk, well in advance of the event. 2005 will be the 100th Anniversary of Rotary International. The local Rotary club has requested to have the floral garden by the golf course dedicated to this theme. The practice has been to give precedence to the greater anniversary. Access to this garden is probably not possible, though they may be able to put a sign in place for the event weekend. The Town distributes a newsletter to 6500 households every February. The committee is invited to include a writeup about the event and a photo. This would need to be given to the Town by the second week in January. The committee should be able to book a ten minute community interest presentation to Council at one of their regular meetings. These take place on the second and forth Monday of the month and are broadcast on the community cable channel. This should be booked soon through Holly Dowd. It was suggested that the committee create a pamphlet about the event for distribution at the two tourist information centres, one by the gardens and the other at Fort George. It may also be possible to put up a poster at these locations. Marty said that there are 770 bed and breakfast beds in NOTL. The fall is a high season for them due to the wine festivals. 30-40% of the bed are already booked for next September. NOTL does not have motels or hotels, though there are many close by in Niagara Falls. It may be possible to arrange group rates. The Niagara Falls Chamber of Commerce is a good contact for that. 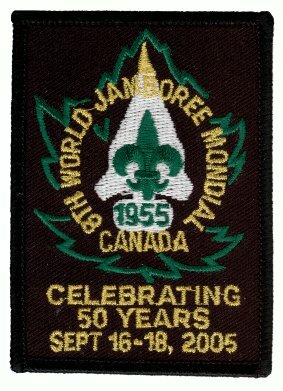 The mayor may be able to designate the week preceding the event as World Jamboree Week. Such as designation does not include publicity provided by the city. Bill C. will thank the mayor for the cooperation of the staff. Bill C. has spoken with John Kernahan of the Niagara Parks Commission who will take the idea about the floral clock to their board. Donald Willey, son of the WJ'55 official photographer, has responded to Tony's letter and will visit the Niagara Scouting Museum. He is a former Wolf Cub, Scout, and Rover.